When Thomas sent me back the Black cat survey and I saw that he makes 24.000km/year and FTP of 350W I knew that jokes are over. The build had to be best in class, from high quality elements providing a stiff, fast and long lasting road wheels. 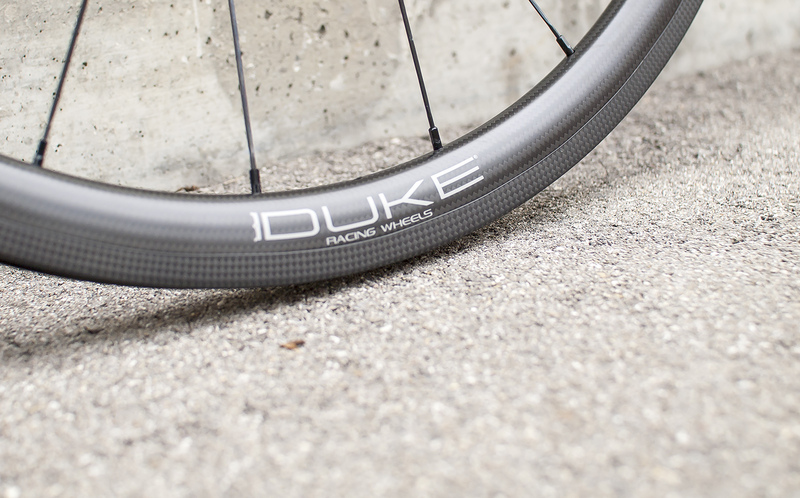 The choice went for well trusted Duke Baccara rims. Very well made rims, wide enough for 25mm tires and with decent braking surface. 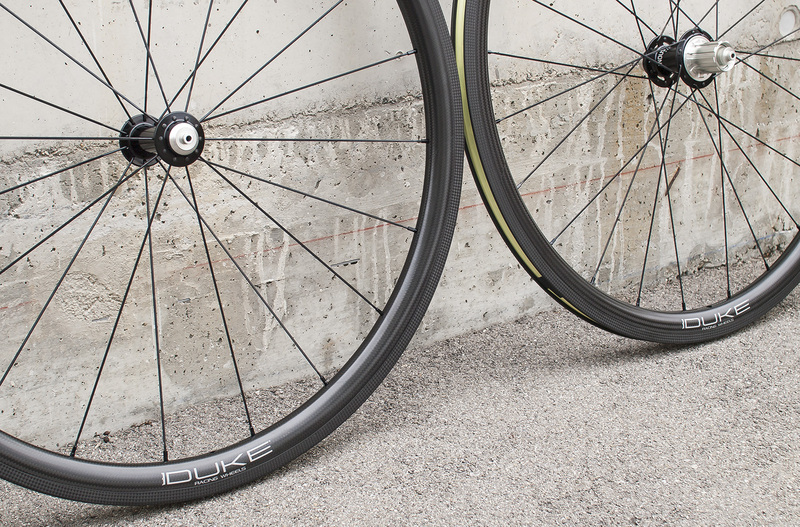 My initial plan was to use Duke Baccara rims with 2:1 lacing, which with proper hubs would give a maximum wheel stiffness. Unfortunately I could not get the hubs I wanted for that lacing type so went to plan B with traditional 20/24h setup. 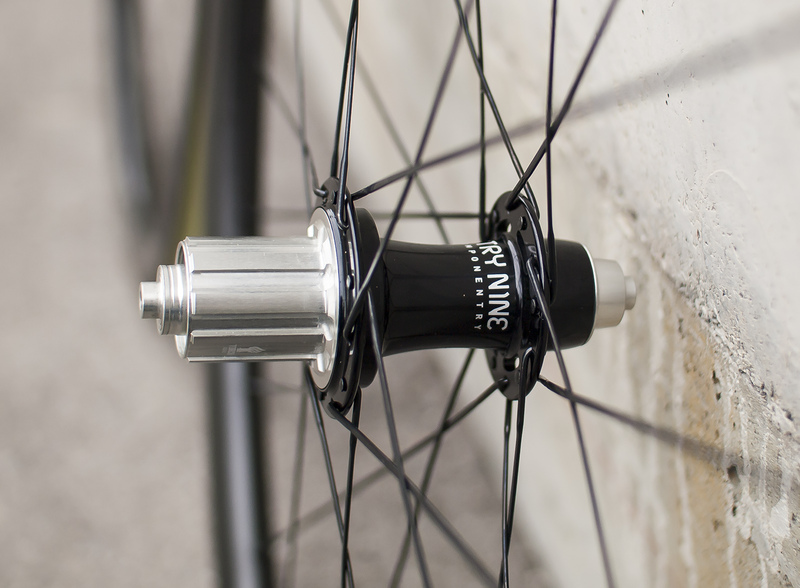 In order to ensure that the wheels will be strong enough I took Industry 9 Torch hubs and Sapim CX-Sprint spokes. I knew that those wheels will look good... but when I finished them... oh boy...they look fantastic! 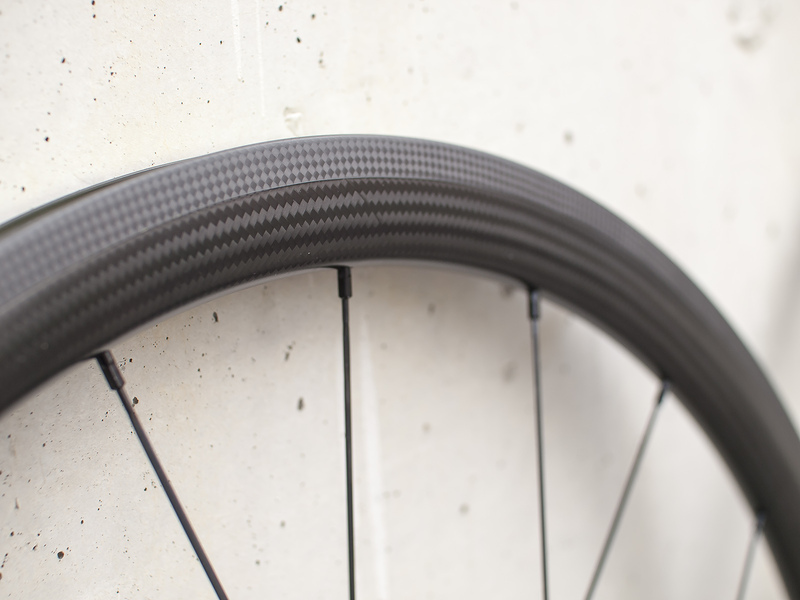 Twill finish of Duke's carbon rims plus classy, wide and large flanges black hubs plus strong black CX-Sprint spokes is the recipe for perfect wheels. 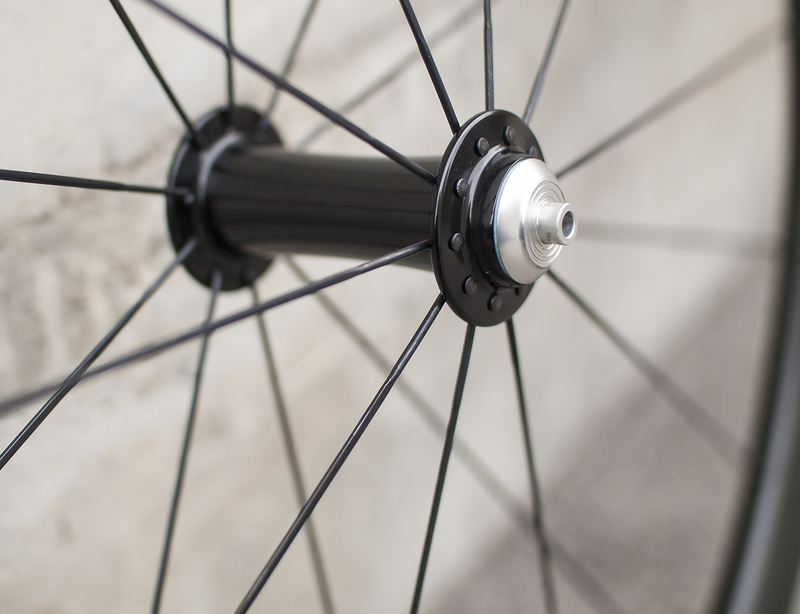 I'm not the fan of straight pull spokes so making those with J-bend made me even more happy. 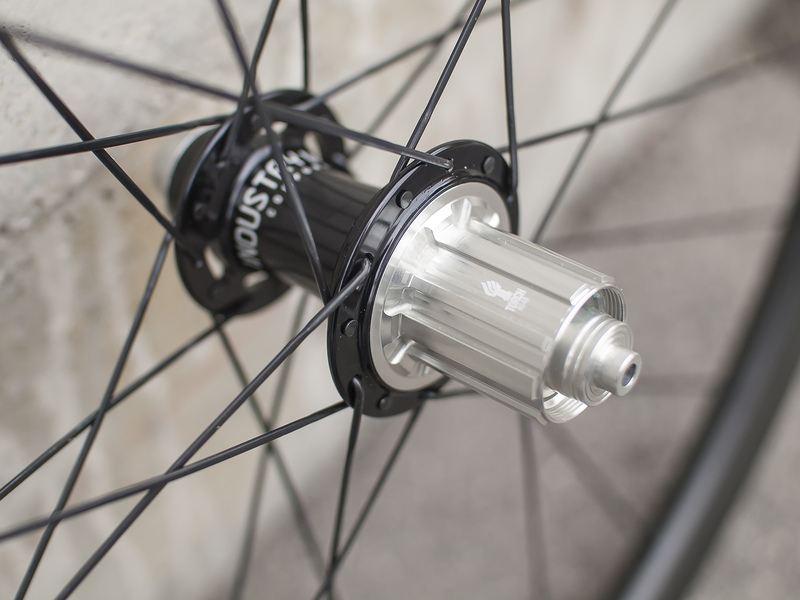 The front hub has very wide flanges. 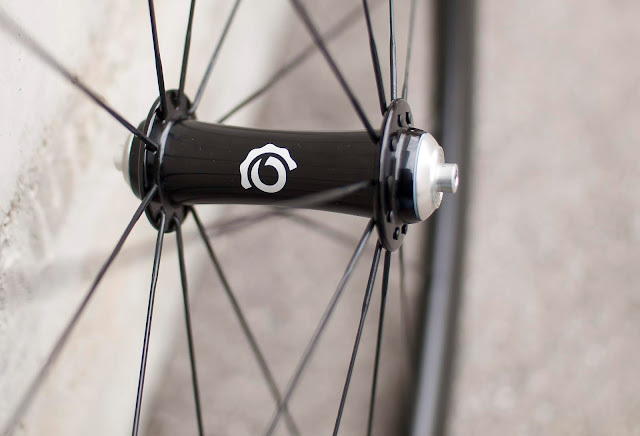 This makes the wheel very, very stiff. Zero flex during pushing with all my 75kg during the spoke's stress relieve. Excellent bearings with good quality of grease - they roll smoothly like a butter. 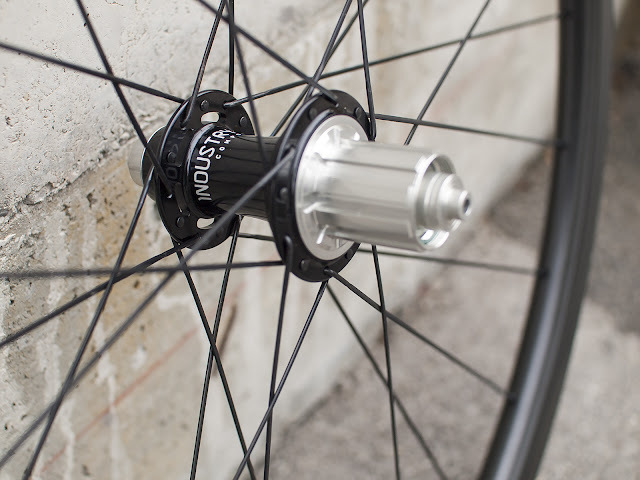 The rear hub is a masterpiece. 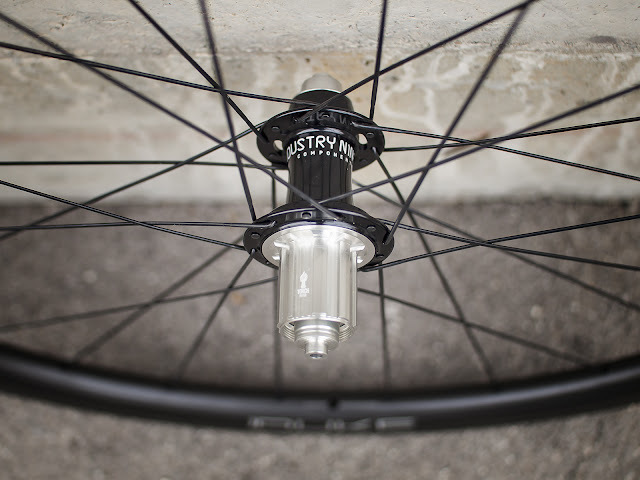 Oversized flanges improve bracing angle and gives additional wheel stiffness and stability. 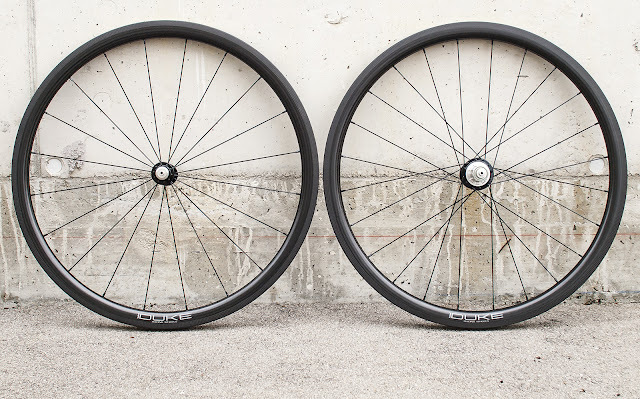 With classical spokes that looks really great. Excellent finish and attention to every single detail makes them one of my favorite hubs. The sound is not that loud as Chris King buzz. 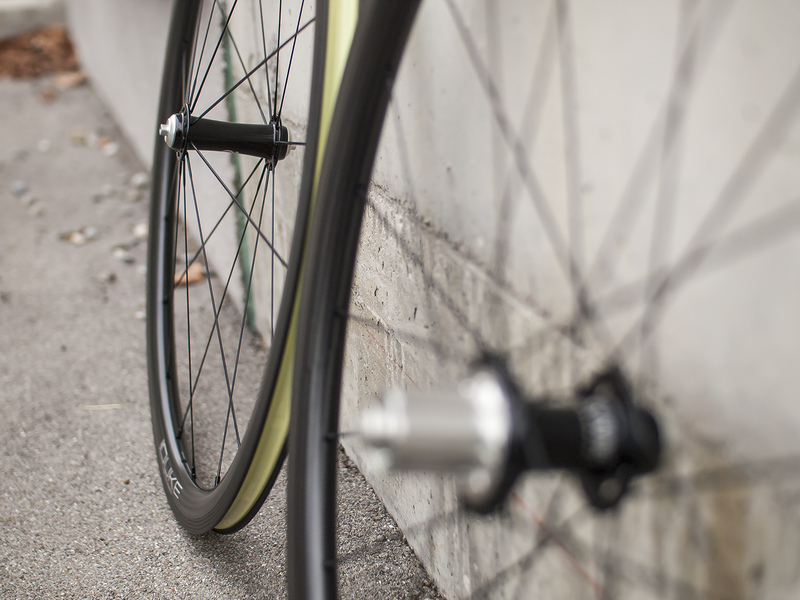 The clutch is very precise and hub is engaging very quickly. 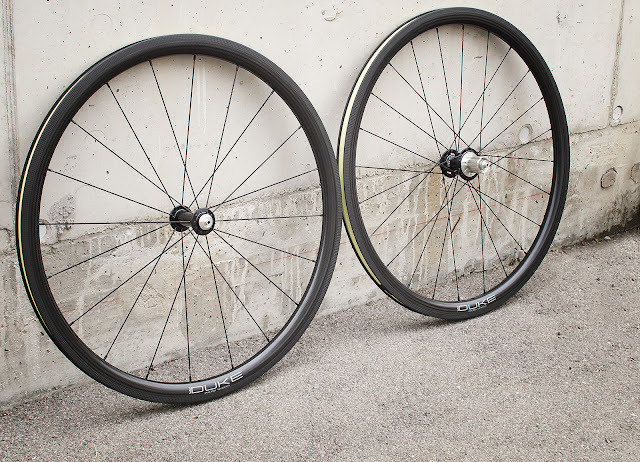 The total weight of this set is 1450g without rim tape. I find that excellent result taking into account 35mm carbon rims, a bit heavier 44 spokes and high quality hubs. 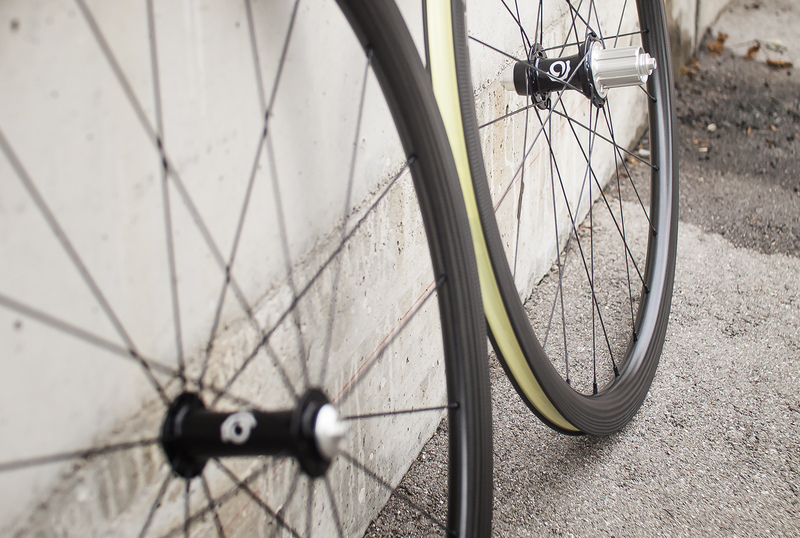 Without any doubt, those wheels are one of the best I made so far. Definitely well deserved to by the wheels of the month, November wheels. @Thomas - many thanks for letting me to build those for you. Enjoy the rides and the buzz of Industry 9!